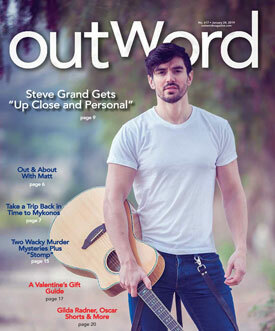 Talented - and hunky - Steve Grand will be performing for one night, here in Sacramento Tuesday, Feb. 19 at Harlow's. Get your tickets now! Also check out what Chris Narloch has to say on page nine. Read more: The January 24, 2019 Issue is Out Now! This year’s Oscar nominations will be announced on Tuesday morning, Jan. 22, ending months of speculation by awards prognosticators, and then the apparently-host-free Academy Awards ceremony will be telecast on Feb. 24 by ABC. Despite what some critics have suggested, I thought 2018 was a very good year for movies. You had to make an effort to find some of last year’s finest films, due to their limited theatrical releases, but there were excellent examples of pretty much any cinematic genre you can name. 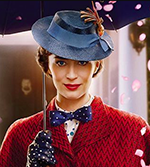 Two classic films will grace the screen at the historic Crest Theatre this weekend, and you can take your pick or see both. The first is a classic western from director Sergio Leone, and then a cult comedy by the Coen brothers. January is famous for being a cinematic graveyard, where movies that weren’t good enough to open around the holidays go to die. So this week, I review several holdovers from last year that are still going strong in theaters, plus one worthwhile new movie. 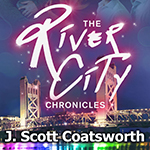 Sacramento author J. Scott Coatsworth has written and published a number of short stories, novellas and full-length novels, but “The River City Chronicles” holds a special place in his little writer heart. In many ways, it is a love letter to Sacramento, one that we wanted to share with Outword’s readers. To do that we have uploaded the next installment of chapters of the book here, for you to read online. Previously in the River City: Carmelina found out her long-lost daughter was killed in an auto accident almost two decades earlier. She got home, and Daniele was there. He suggested an exorcism to get rid of Arthur's spirit after the debacle of the dinner party. She commiserated about Marissa with Dave, and invited him to her exorcism. Outword’s First Issue of 2019 Is Out Now!